Schmidt said he was given a script, or "talking points" approved by VW management and lawyers. 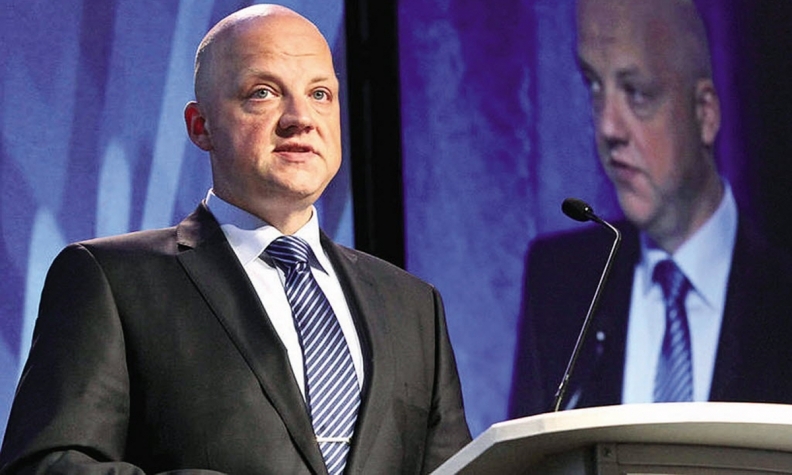 Volkswagen Group manager Oliver Schmidt, who is scheduled to be sentenced Thursday for violating U.S. environmental regulations, told a judge he was coached by company executives to lie about diesel emissions in a meeting with a U.S. regulator two years ago. Schmidt has been in custody since his arrest in January after pleading guilty on Aug. 4 to conspiracy and violating the U.S. Clean Air Act. He is scheduled to be sentenced by U.S. District Judge Sean Cox in Detroit federal court and faces up to seven years in prison. In a letter to the judge last week, Schmidt, former general manager of Volkswagen’s U.S. Environment and Engineering Office, said he first learned about the company’s emissions-testing evasion scheme in the summer of 2015. Schmidt said he was given "a script, or talking points" approved by VW management and "high-ranking lawyers" to follow when he met with a California environmental official, Alberto Ayala, on Aug. 5, 2015. "Regrettably, I agreed to follow it," Schmidt said. "In hindsight, I should have never agreed to meet with Dr. Ayala on that day. Or, better yet, I should have gone to that meeting, ignored the instructions given to me" and admitted "there was a defeat device in VW diesel engine vehicles and that VW had been cheating for almost a decade." Schmidt told the judge he feels "misused" by VW, Bild newspaper reported. "I must say that I feel misused by my own company in the diesel scandal or 'Dieselgate,' Schmidt wrote. VW spokesman Nicolai Laude declined to comment. Schmidt, a 48-year-old German national, described himself as a small player in the automaker’s emission’s cheating scandal in February, when he asked a judge to release him from a maximum-security prison. His request was denied. In August, veteran VW engineer James Liang was sentenced to 40 months in prison for his role in helping VW to cheat U.S. emissions tests. Liang was the first person prosecuted in the scandal. Liang and Schmidt are among eight VW executives criminally charged for their alleged roles in the scheme. The charges followed VW’s admission in September 2015 that about 11 million diesel vehicles worldwide were fitted with so-called defeat devices that helped them pass emissions testing. An investigation is ongoing in Germany and against individuals in the U.S. The case is U.S. v. Schmidt, 16-cr-20394, U.S. District Court, Eastern District of Michigan (Detroit).